1. It Helps One to Establish a Business’ Weaknesses and Strengths. During the process of business consultation, a business owner gets to view a different perspective of the various flaws that exist within his/her business through an evaluation of the strengths and weaknesses of the consulted business. By having a better grasp of the difficulties that face a business, the business can plan and strategize on better means to improve their status by minimizing the weaknesses (Epperly, 2015). 2. It aids in re-strategizing. Business consultation also provides an alternative approach to solve a problem that could prove to be better than as was done before. After business consultations, businesses get to learn substitute ways that at times may prove to be better and attractive to emulate that the ones used currently. In the current market, determining the target audience for any business is vital. During business consultations, businesses get to discuss as well as observe better approach that can be taken to boost businesses. Such is important decisions help businesses to determine the best advertising media as well as approaches to reach their target audience (Natwave, 2013). 4. Helps a Business to keep within the limits of the Budget. Business consultants not only show weaknesses and provide strategies but they also suggest the appropriate budgets that can be used by different businesses. This helps the companies to keep within the appropriate financial spending in order to avoid bankruptcy. When a business aims to expand and reach to a new market space, it usually faces difficulty to determine new market’s demographics and financial analysis of what will be required. During business consultation, a business will get advice on such important considerations keeping it at a better place to perform better in its new market. 6. A new product launch. When a company intends to let a new product or service to the market, business consultation helps to give an inner comprehension of strategies and various approaches that will make the new product thrive in the market. 7. When getting into online marketing. The online markets are growing fast and rapidly than was ever before. Almost all advanced businesses nowadays compete in the cyberspace. When a new business intends to embrace this mighty tool, it is important for them to consult on the cheaper and efficient methods that can be taken by them to improve the companies considering both their finances and their target groups. Most small business fails to pass the test of time due to the lack of proper statistics when developing the businesses. Business consulting and management consulting from an early state of the business helps the business plan appropriately and evaluates likely threats that may arise to counter their businesses at an early state thus making them thrive in market fluctuations. 9. When a business aims to minimize their spending or increase revenues. If a business realizes a huge loss or constant shortage of finances after paying salary to its workers, the best approach to solve this problem is through business consultation. Business consultation firms aid to determine the appropriate expenditures that a company should use in order to keep at a better state in the market. “I am honored to receive this for the 2rd year in a row,” said Jay Sigler President of Corporate Strategic solutions Inc. 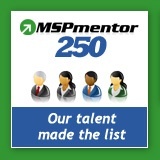 The sixth annual MSPmentor 250 list is richer and deeper with MSP executives from across the globe. An associated list, called Locked in the NOC (network operations center), honors MSP Hall of Famers who have made a lifetime impact in the market (http://www.mspmentor.net/top250/noc). “We congratulate Jay Sigler on this distinguished honor and thank our readership community for submitting the nomination,” said Amy Katz, president of Nine Lives Media, a division of Penton (www.penton.com). The MSPmentor 250 report is based on a global survey of MSPmentor site readers conducted in the first half of 2013. The MSPmentor editorial staff, led by Managing Editor Jessica Davis, also weighed in with nominations, based on the team’s daily coverage of the managed services market. The resulting MSPmentor 250 and Locked in the NOC coverage represents MSP experts across business, technology, sales, marketing, community development, coaching and more. About Corporate Strategic Solutions Inc.
Corporate Strategic Solutions Inc. Aims to provide a significant increase in cash flow, profitability, and Revenue. We do this through our robust offering of consulting and business services. Additionally we guarantee to offset any engagement with us in the first 90 days or we refund your money! Nine Lives Media, a division of Penton, defines emerging IT media markets and disrupts established IT media markets. The company’s IT channel-centric online communities include MSPmentor (www.MSPmentor.net), The VAR Guy (www.TheVARguy.com) and Talkin’ Cloud (www.TalkinCloud.com). For millions of business owners and decision-makers, Penton makes the difference every day. We engage our professional users by providing actionable ideas and insights, data and workflow tools, community and networking, both in person and virtually, all with deep relevance to their specific industries. We then activate this engagement by connecting users with tens of thousands of targeted providers of products and services to help drive business growth. I came across this article from Microsoft, I really love how they simplify how referrals work. There is a link to the original article at the bottom. I have added a bit of my own thoughts into it. Marketing by getting referrals is not only simple, it’s wonderfully cheap. The idea is to find new customers just by asking peers, associates and existing customers to recommend likely prospects for you to target. Few business owners actually ask for referrals. Fewer still ask in the right way at the right time. And even fewer ask for referrals as an ongoing marketing strategy. Here’s how to leverage the incredible reach of referrals. 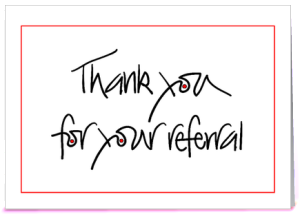 The reason referrals (and their cousins, testimonials) are so effective is because they carry immediate credibility. If your dentist recommends an orthodontist for your kid’s braces, you’re much more likely to act on that referral than if you hear an orthodontist’s ad on the radio or get a flyer in the mail. The price tag for the referral might have been a lunch, a phone call or the cost of attending a conference. But buying advertising airtime or producing direct mailers racks up significant dollars — and typically results in much lower response rates. • Don’t forget to ask. “Many people believe that doing a good job is all that’s necessary to generate referrals,” says Patrick Galvin, who says referrals have boosted revenues by at least 75% for his Portland, Ore. public relations (PR) business. Even when customers are terrifically satisfied, they forget to refer business mostly because your needs are not on their minds. Galvin is now in the habit of asking every satisfied client if he or she knows somebody who would also appreciate his services. • Wait until clients are happy. Going the extra mile can pay off big time. A study conducted by NRS Consulting, a Madison, Wis. research firm which specializes in home building, found that builders that rated 91% or better in customer satisfaction garnered six or more referrals from previous buyers, while builders with ratings of 67% or less got nary a one. Every time you get positive feedback, you have an opportunity to ask for a referral. • Don’t worry about rejection. There’s nothing wrong in asking for a referral. “Not everyone is going to need what you are selling, but a quality product has a market. Ask. Ask. Ask,” says John Chappelear, a Fairfax, Va.-based executive coach who has founded and sold two successful businesses. “Also keep in mind, they may not need what you have directly, but you never know who someone can connect you with that might,” Says Jay Sigler President of Corporate Strategic Solutions Inc.
• Join a networking group. Trade associations and professional organizations are good places to generate referrals. Don’t forget community service or religious groups, the chambers of commerce and charitable organizations. There are also groups specifically set up for referrals, such as Business Networking International which has local chapters around the country. • Offer incentives. A few years ago, Erin Saxton quit being a television producer, including a stint working for Barbara Walters, to start a media/PR agency in Whippany, N.J., called The Idea Network. “Since so much of the entertainment business is word of mouth, I value all types of referrals,” she says, estimating that 90% of her business has come from referrals. 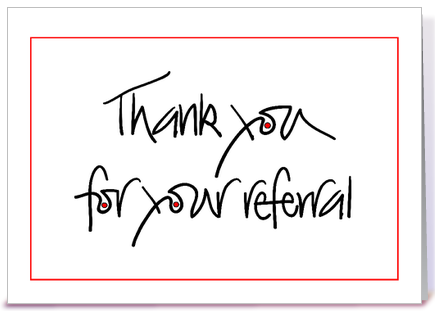 So Saxton makes referrals worth her clients’ time. “As a thank you to anyone who refers business my way, a percentage of the money earned goes back to them. If they cannot accept money, I will send gifts,” she says. You can also offer incentives for online customers by using Web analytics applications. If you ask customers to register, you can send them a reward for referring other customers. Plus, such software tells you which sites are referring your most lucrative traffic, so you can make the most of affiliate links. She has contacted display merchandisers at department stores in the area because people looking for mannequins often call large retailers. “These stores typically don’t rent or sell mannequins, but they’re happy to refer those calls to me.” She has also contacted wedding and special event planners, trade show hosts and exhibit builders. For online referrals, Henderson-Townsend became a power seller on eBay. And she researched organizations whose members might need mannequins, such as the National Association of Resale and Thrift Stores, and requested links to her site from those Web offering a complimentary gift certificate for an hour of her services to any client who requests one. “Clients love being able to pass along my services to people they know, which are value-added for them and an effortless referral program for me.” Similarly, find a way to automate your referral process and you’ll discover an easier and cost-efficient way to grow your business. I would add When you do get referrals always make sure you show your appreciation no matter if it works out or not!!! 10 tips on how to help keep your kids safe during Halloween! Here at the Corporate Strategic Solutions Inc. Family, we think safety is very important, so we compiled 10 tips from around the web and added a couple of our own, on how to help keep the most important among us safe. Our Children. Plan a safe route so parents know where their older kids will be at all times. Set a time for their return home. Make sure they know how important it is for them to be home on time. Make sure that your child is old enough and responsible enough to go out by themselves. If not make sure you go with them, even if it just in the neighborhood. Small children should never be allowed to go out alone on Halloween. Make sure an older sibling or adult is with them. If you can’t take them, see if another parent or a teen aged sibling can go along. Let them know that they should stay together as a group if going out to Trick or Treat without an adult. Also many non-profits in town hold Halloween Trick or Treat events for the community that provide a safe environment and supervision. Know the route your kids will be taking if you aren’t going with them. Know what other activities a child may be attending, such as parties, school or mall functions. 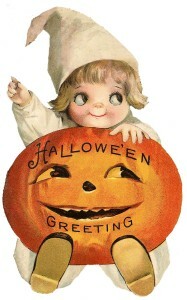 Instruct your children not to eat any treats until they bring them home to be examined by you. Treating your kids to a spooky Halloween dinner will make them less likely to eat the candy they collect before you have a chance to check it for them. Let your children know not to cut through back alleys and fields. Make sure they know to stay in populated places and don’t go off the beaten track. Stay in well lighted areas. Stop only at familiar houses in your own neighborhood unless they are accompanied by an adult. Teaching your kids basic everyday safety such as not getting into cars or talking to strangers, watching both ways before crossing streets and crossing when the lights tell you to, will help make them safer when they are out Trick or Treating. Make sure your child carries a flashlight, glow stick or has reflective tape on their costume to make them more visible to cars. Make sure that if your child is carrying a prop, such as a scythe, butcher knife or a pitchfork, that the tips are smooth and flexible enough to not cause injury if fallen on. And number 11 Have FUN and stay safe! Here at our Portland Consulting Firm we talk about protecting your business, employees and your investment, we thought we should take some time and talk about what is more important than all of those things combined. © Corporate Strategic Solutions, Inc.